Amritsari Fish, Tacos, Lychee Mousse: Is There Anything This Noida Restaurant Doesn't Do? Mosaic Hotels, Noida has recently launched an affordable menu comprising Indian, Western and Continental dishes. The restaurant is located on the ground floor, once you enter the hotel you won’t be able to miss it. What we really loved was the service, they welcomed us with a refreshing mocktail served in a flask, the waiters were very helpful and always attentive with a smile on their face. 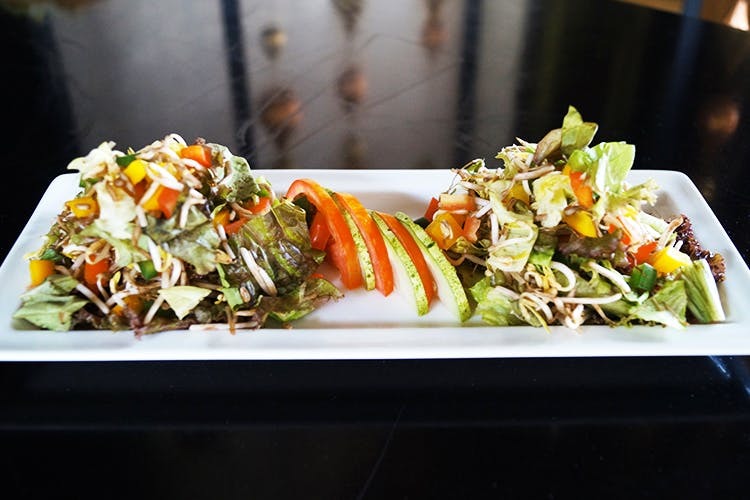 The fusion menu at Mosaic will satiate every craving, from their street food style chaat, to Amritsari Masala Baked Fish and what caught our eye was the presentation, specially of the Purani Dilli Ki Chaat. You must try the Mattar Mushroom ke Tacos- they’re simply divine while the meat lovers must try the chicken one. Leave some room for dessert, their Lychee Mousse and Blueberry Cheesecake with kiwi is delicious. Though the desserts are sweet, they are not very heavy so go ahead and order that second round.